Note that, to account for the difference in dimensions of most computer fonts, a single space must be added between adjacent horizontal letters. This method of spamming is a very effective in provoking rage amongst members of a community. 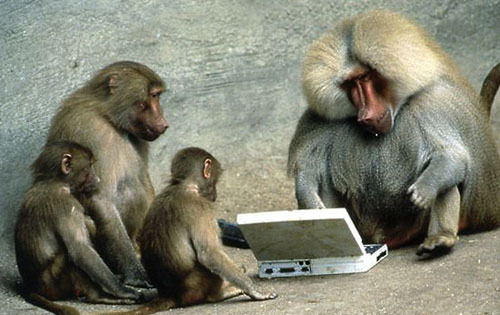 As such, the monkeys plan on vertically posting nasty messages over the cows' social networks! The problem is, it takes lots of time and effort to manually create such hateful (yet beautiful) works of art in a text editor. To speed up this process, the Head-Monkey has designated you to write a program to automatically generate the vertical posting from any desired message. The first and only line of input consists of a single string of at most 20 uppercase/lowercase letters from A to Z. Output the resulting vertical posting, preserving the case of every letter in the input. Your output must match the format of the sample output exactly! vyom on Dec 04, 2017 - 2:06:36 am UTC Re: Can someone please help me? Good job finishing your code! loltroll21 on Dec 04, 2017 - 1:15:52 am UTC Can someone please help me? Why is my code outputting 2 spaces at the end of the vertical line? PEGPro2016 on Dec 17, 2016 - 8:27:35 pm UTC What is wrong with my code? Can someone view my code and tell me what is wrong? Thanks! spencereir on Dec 17, 2016 - 10:24:35 pm UTC Re: What is wrong with my code? Well, it's printing the wrong answer. I suspect it doesn't work on the sample case, either.